Creative Tools' main office is located in the Slottsmöllan Industrial Park just outside the city center of Halmstad, close to the soccer stadium Örjans Vall and near the northern E6 highway exit no. 45. Take the Halmstad North exit (no. 45). Drive towards the center of Halmstad. When you reach a roundabout near three highrise buildings and an "INGO" gas station to your left, take the third exit in that roundabout. Turn right at the first three-way junction and drive along that street until you reach another roundabout. At the roundabout, turn left where you see a very small yellow road sign [ GUL ] (pay attention). Use the parking lot named [ P BLÅ ] . Walk downhill towards the river (Nissan), pass Friskis & Svettis and turn left on to the small street close to the water. Walk along the waterfront to the end of the street. 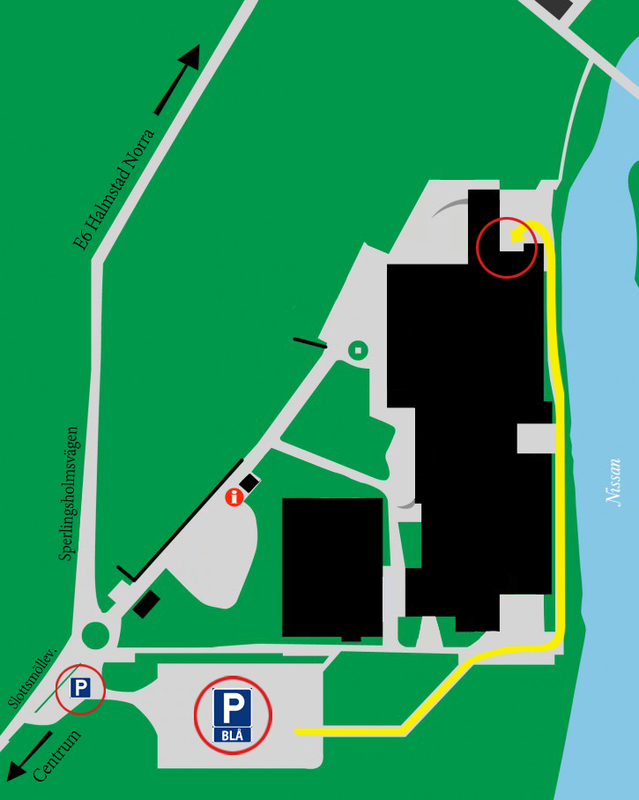 Our office is located at entrance "L" (yellow arrow on the map). If you need accommodation during your visit to Creative Tools in Halmstad, you get a discount at First Hotel Mårtenson. First Hotel Mårtenson is centrally located in the heart of Halmstad, and approximately 20 minutes walking distance from our office. 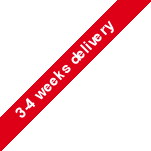 When booking, please state that you are a customer of Creative Tools AB, or contact us for a campaign code for online booking.